Meet Freddy McFlake! 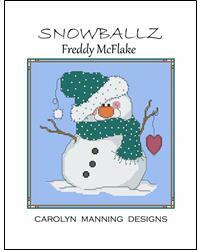 A new snowy friend joining the Snowballz Collection. Charted with DMC floss. Finished stitch count 114w x 116h.